The slim disc shaped monitor is placed on babies chest to monitor changes in breath rate. Provides an alert to a connected mobile device as well as the child's history. Additionally a slim blue light changes from blue to red in periods of irregularity. Form is designed for child's comfort and ease of use in addition to reflecting the visual identity of the Philips brand. 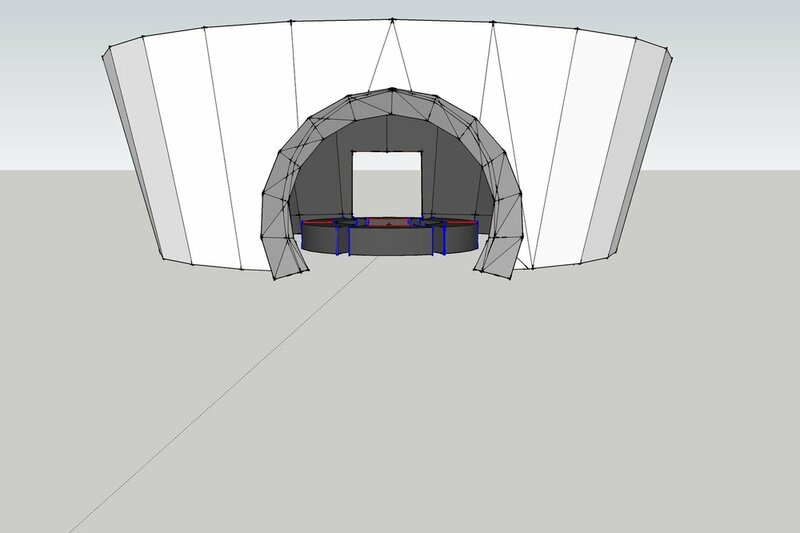 Trade Show exhibit design for Alien Workshop, a skate team and retail business. The top light identities with an "alien" theme, while allowing the booth to be spotted from a distance in large crowds. A vortex ceiling of skate decks displays the product in a unique way, while the walls screen footage of the skate team. Product is stored in cabinets at the base of the structure. A simple child-proofing system for oven knobs. Replacing the stock knob, the device must be squeezed an turned in order to engage. Toddlers simply twisting the knob will not activate the range. Advantage over current products for unobtrusive ease of use and effectiveness.